At Strypes, we believe that young people should get the chance to experience many cultures and different places of work. What better way to do this than taking their first career steps abroad? Our Bulgarian office is open to hosting interns that study engineering in The Netherlands or other countries. Our internships are fully hands-on - trainees dip their fingers in real engineering challenges and work on real projects for our clients. Today we have the pleasure to introduce you to one of our ex-interns - Kenneth Martens. He spent 6 months in our office in Bulgaria and is happy to share his thoughts about the company, the office in Sofia, the Strypes team, and his time spent travelling in the country. Hi, Kenneth! We heard you enjoyed your time in Bulgaria quite a lot. What was your first impression when you went there? K: Like any foreign guy, my first experiences were related to making arrangements for my stay. When you go to work abroad, you need to issue some documents, rent an apartment, etc. To be honest, I expected that the moving process would be hard because I didn’t know any Bulgarian. However, I was pleasantly surprised by the fact that most people actually spoke good English. For example, I had no issues communicating with colleagues, eating out and shopping. The only times I experienced a language barrier was when running errands in governmental institutions - but even though most people there didn’t speak English, it didn’t stop them from helping me and they always found other ways to communicate. To sum up, my first impression was that people in Bulgaria are really helpful and open to others. What did you like most about the country while being its citizen? K: I was stunned by the amazing nature in Bulgaria. It’s such a green country and I especially loved hiking in the mountains. I also enjoyed learning about customs and traditions. It was very cool to see how much locals love talking to foreigners about Bulgarian culture, showing you around, and helping you have a genuine experience. Is Bulgaria very different from The Netherlands? K: I’m from The Southern Netherlands and actually people there have quite a similar temperament to Bulgarians. We are passionate about our culture, we like making friends, laughing at a good joke, going out for nice food and drinks… In that sense, Bulgaria was a bit familiar and felt like home. 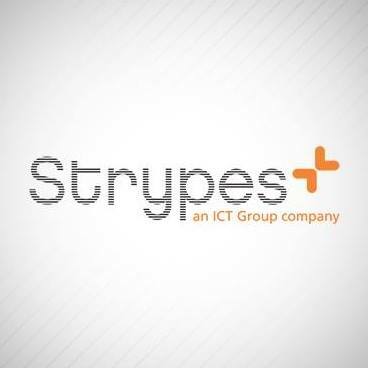 Tell us about your experience as an intern at Strypes. K: If you’re a Dutch university student, you have to do a mandatory internship in your third year of studies. While being an intern, you have to work on a project that goes beyond just gaining working experience in your field. The internship has to revolve around you doing research and solving (or helping solve) a specific business case for the employer. This is a win-win: you use the project as your student case study, while also contributing to the organization that employed you. So, this is what I was doing at Strypes. My internship was 6 months long and during that time I worked on a very interesting project for the company’s biggest client. I really liked the atmosphere in the Bulgarian office - colleagues were quite easy going and helpful. I made some really good friends and we tackled project challenges together! Did your internship open new doors for you? K: Definitely. After my 6 months in Bulgaria ended, I returned to The Netherlands to finish my studies. Not long after, I got employed at Strypes’ mother company - ICT. Now I’m a Software Engineer there! Loved Kenneth’s story? Check out our Careers page and apply to get the same experience as his!